One of the rarer of the Bushmills Millenium Single Cask bottlings. This single malt is bottled at cask strength and was distilled in 1982. The bottle is in good condition with a high fill level. 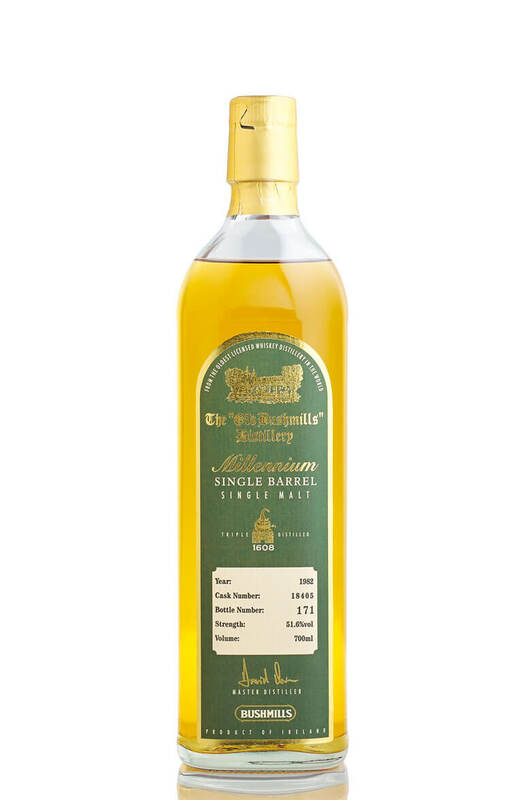 A rare bottling of Bushmills Millennium that was bottled at natural cask strength. This also comes w..